This summer I did a bit of the music festival tour starting with the NxNE music festival in Toronto. During NxNE I began to realize a certain fact, when holding a beverage, especially one that comes in a brown bottle, it is almost impossible to clap. During the shows I looked around at my fellow festival goers and noticed that many in attendance holding their own form of beverage would do the same thing as I would, they would either hoot and holler or slap their hip to show their appreciation for the band. I thought to myself, 'the band can't hear me slapping my hip… there's got to be a better way!' 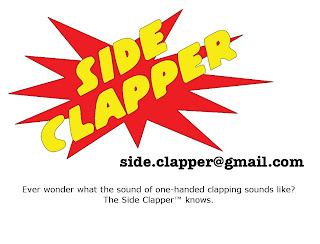 For the rest of the festival I shopped my idea around a bit and asked those in attendance that I spied slapping their hip if they think they would benefit from some sort of side clapper. I received some mixed reactions, some for, some against, some "Get away from me you drunk! "… I think they might have been still on the fence about the whole idea. It was during the next festival, the Cisco Ottawa Bluesfest where I really decided that this device had to be made, if not for me than for the hips of festival goers all over the world. During our late night Bluesfest brainstorming sessions, (where many good ideas are formed dontcha' know? ), my pitch was met with much enthusiasm. It was time turn this dream into a reality. For the next festival, the Wolfe Island Music Festival, I recruited a few friends and together we designed the first ever prototype of the Side Clapper™. Producing only 20 prototypes for the festival my goal was to spread the word, create some buzz and hopefully convince a band to wear them on stage during the festival. Well Dear Reader I am ecstatic to stay that I exceeded my goal. Not only did I create some buzz, but I also pitched the Side Clapper™ to front man Rolf of The Acorn. Much to my surprise, and those festival goers that were wearing their own Side Clapper™, Rolf even took a few seconds out of his performance to explain the Side Clapper™, using almost the same pitch that I had given him the night before. The final music festival of the season was the Ottawa Folk Fest, where I once again produced a few more prototypes and tried creating some buzz. It didn't hurt that The Acorn were also performing at this festival. At one point I overhead the following: "See that guy over there? He's the inventor of the Side Clapper™. I was at Wolfe Island last week when he was handing them out." So where does the Side Clapper™ go from here? 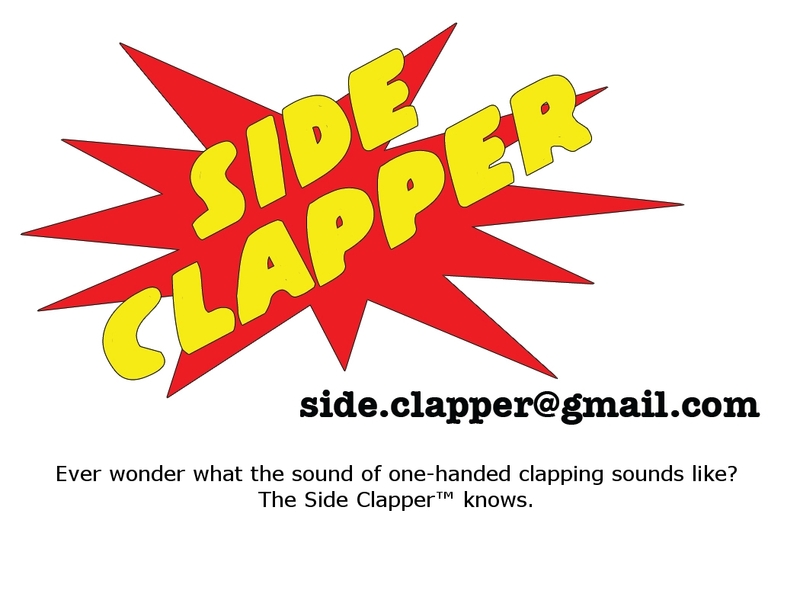 Well I'm going to take the Fall and Winter months to design and produce a permanent version and hopefully you'll see me at the 2011 SxSW where you too can get your very own Side Clapper™.